From the mind of Charles M. Schulz, the world’s most beloved cartoonist, comes these funny looks at the game of Bridge. The game, the culture, and the very human foibles of those who play it all come under his masterful attention. 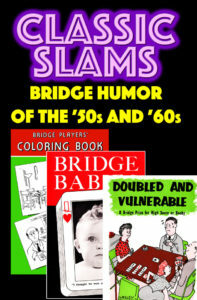 Order Bridge Mix from Amazon! 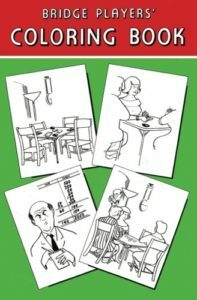 From the golden era of the home bridge party comes this trio of classic books, now under one cover. 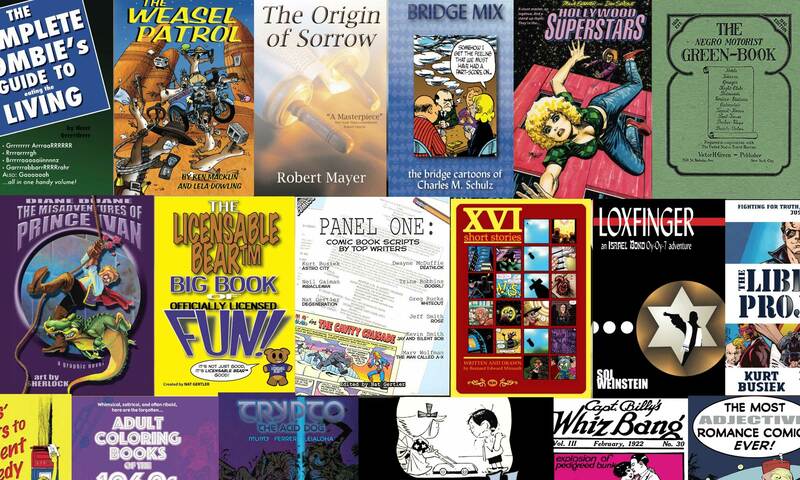 Meant to be given away as either top prizes or booby prizes, these books entertained winners and losers alike! 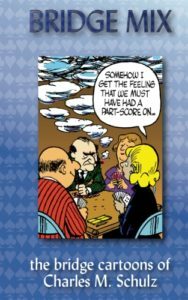 Doubled and Vulnerable: The cartoons of Wesley Thompson illustrate the fun and foibles of getting together with the neighbors for a friendly little game. Bridge Babies: Dorothy W. Wilson’s charming photos of tiny tykes showing the expressions of bridge players will win your heart. 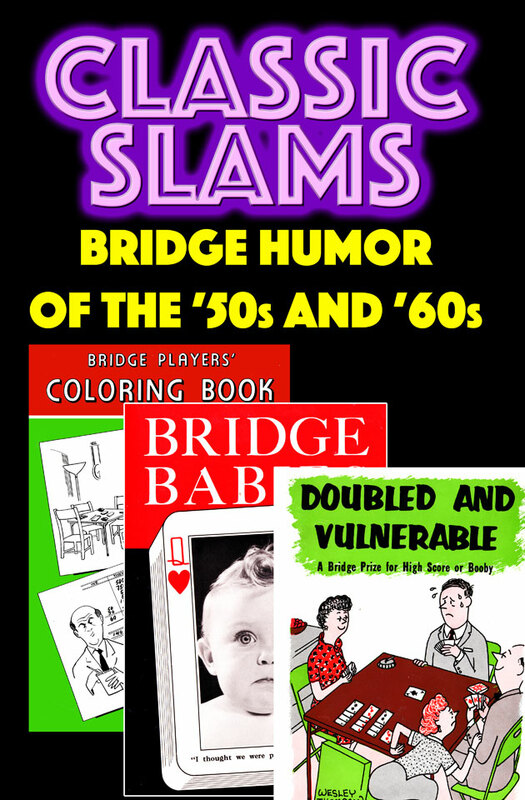 Bridge Players’ Coloring Book: This example of the adult satirical coloring book craze of the early 1960s is aimed straight at the bridge player’s funnybone. Classic Slams is available for immediate ordering from Amazon.